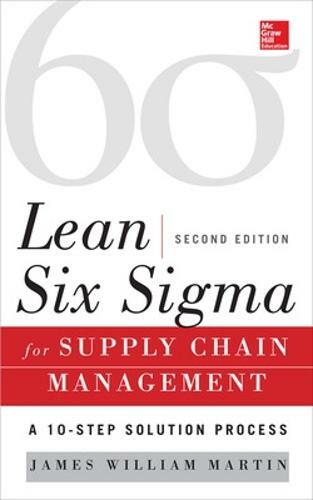 Fully revised to cover recent dramatic developments in supply chain improvement methodologies, this strategic guide brings together the Six Sigma and Lean manufacturing tools and techniques required to eliminate supply chain issues and increase profitability. This updated edition offers new coverage of enterprise kaizen events, big data analytics, customer loyalty metrics, security, sustainability, and design for excellence. The structured 10-Step Solution Process presented in the book ensures that clear goals are established and tactical objectives are consistently met through thedeployment of aligned Lean Six Sigma projects. Written by a Master Black Belt and Lean Six Sigma consultant, this practical resource also provides an inventory model and Excel templates for download at www.mhprofessional.com/LSSSCM2.